Citrix Receiver for PC: Need an easy to use client to access your virtual desktops, applications and enterprise files then download Citrix Reciever for Windows and Mac.Users can access their XenApp and XenDesktop applications securely from multiple devices using this software and also use various services offered by it. Citric Receiver also supports smartphones and tablets, the software is available for Android, iOS, Blackberry and Windows Phone.To use the app users need to download the app to their devices from the app stores and enter their credentials to login to the service and access the applications. 1. 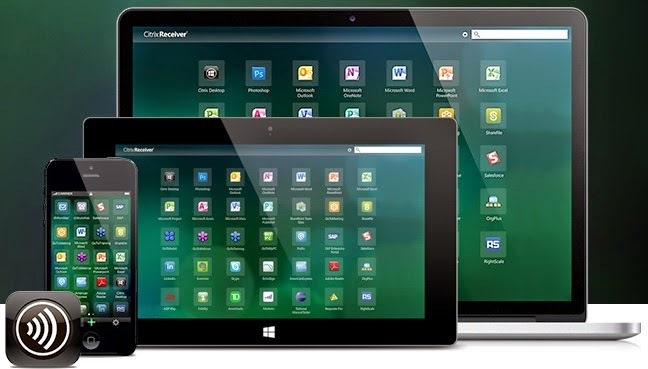 The software is avilable for free and you can download Citrix Receiver for Windows or Mac Computer from below. 3. Now open the software and enter your Email Address or Server, User Name, Password and Domain obtained from the system administrator.